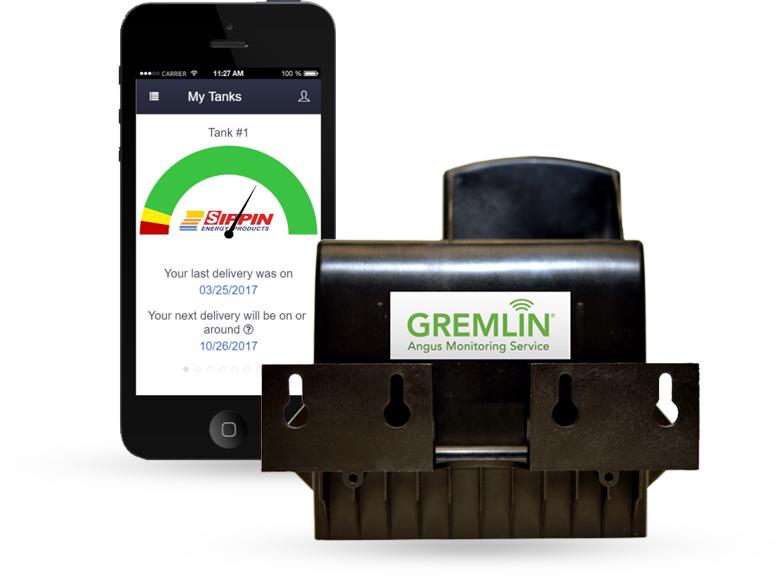 GREMLIN tank monitor technology is proven, reliable, easy to use and robust. GREMLIN is a complete solution built to integrate seamlessly with your delivery software, install quickly, run for years, and operate in multiple environments. We evaluated every monitor product on the market, identifying those features which were crucial to delivering key bottom line results, and those which caused difficulties during and after deployment. The result is a solution that combines best in class technology with outstanding support at an industry leading price point – so you can actually deploy them on enough tanks to make a difference. GREMLIN tank monitors are manufactured by a company with over 1.5 million units in the field. 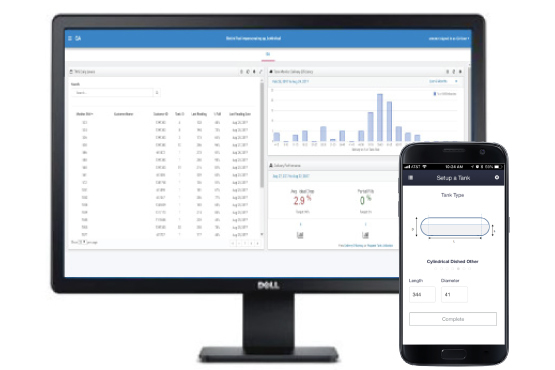 Explore their key features, specifications, and applications, and see why GREMLIN is the fastest growing monitor solution in the industry. Use a Rochester gauge which attaches to a remote ready gauge on the tank. Powered by an industrial Lithium battery designed to last 7 years, and which can be configured to last even longer. Screw into a spare hole in an above ground heating oil tank. Powered by an industrial Lithium battery is designed to last 7 years, and which can be configured to last even longer. 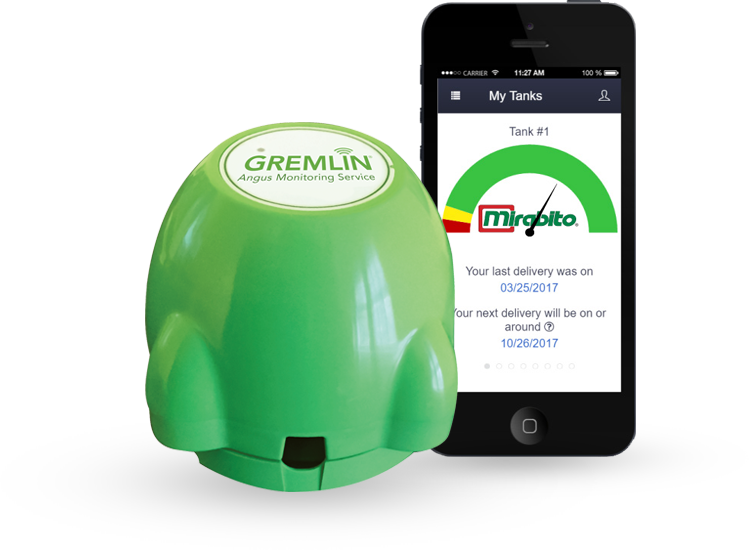 Your GREMLIN tank monitor gives you the ability to offer an app that your customers can put on their smartphone or tablet at no extra charge. Branded with your company’s logo, it allows them to see tank readings any time, from anywhere. Customers love it! They can also see how much they’re using and approximate next delivery date. At the touch of an icon, they can call your office, go onto your website to pay a bill, or email you. The app also allows you to send push notifications to your customers through the app. It turns a delivery efficiency device into a customer retention, marketing, and brand differentiator tool.